Discover the functionalities of our newest generation of soft radio, based on Linux O.S. A world of features in a smart size: automatic multi-mode analog/DMR/POCSAG, SIP/RTP interface, soft antenna diversity reception, 1+1 assembly, WEB server support, remote control, and much more. We are happy to assist you during your system’s installation and set-up. KAIROS’ sophisticated software and hardware platforms make it a powerful embedded workstation. It is based on a LINUX core which, thanks to the continuous development from thousands of users around the world, naturally interfaces IP devices and networks and easily allows a high level of customization, without heavily impacting development efforts. “Kairos” is an ancient Greek word meaning the right moment in which everything happens. Perfect timing is the secret of Radio Activity digital simulcast technology. 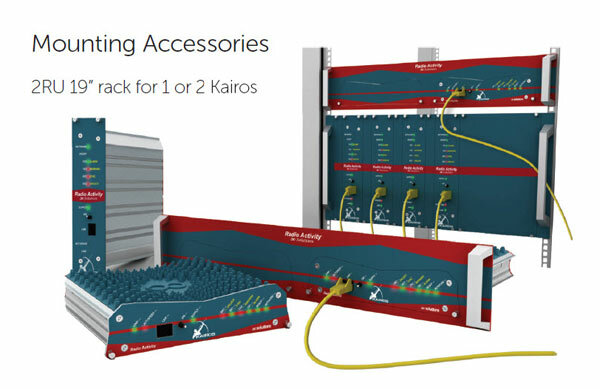 Years of research and field experience enabled us to fix the right moment in the core of our KAIROS series of radio base stations. 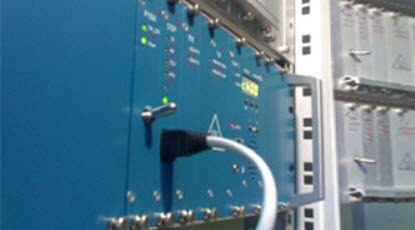 Our modular base stations/repeaters are largely used in many simulcast realizations all over the world. The basic model already features analogic and digital services. It can be equipped with a dual receiver to counteract fading effects through diversity space reception.